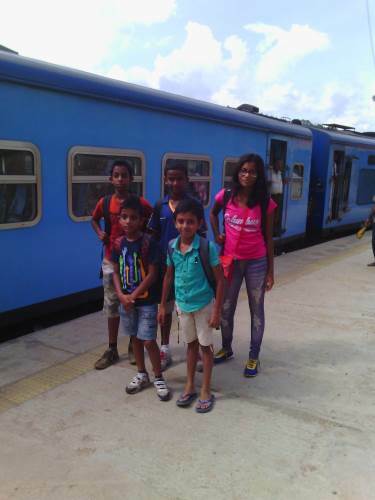 Lakdasun Trip Reports Archive » Train journey to Bandarawela…..
Trip Reports Archive » By Length » Longer than 3 » Train journey to Bandarawela….. The long weekend at the end of July was long awaited as it’s the only long weekend for 2015 until Christmas. 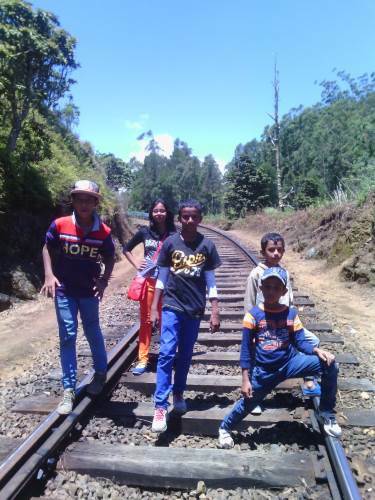 We planned a train trip to up-country with cousins, an annual event during August school holidays. However for the 31st the train was fully booked so we had to reserve the train for the 30th – which gave us a bonus day to enjoy the cool climes. Podi Menike left Fort Railway station sharp on time and we enjoyed the new A/C carriage – similar to the carriages in the AC Express to Jaffna – with adjustable seats, TV etc. 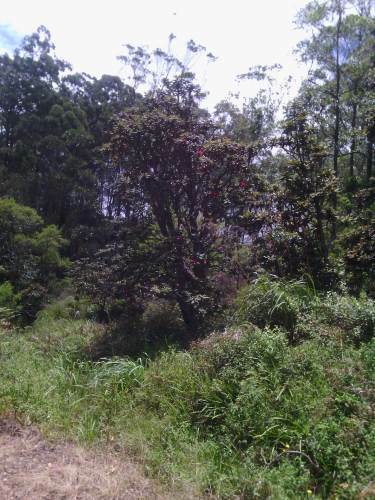 We bought all necessary provisions at Bandarawela Food City and headed towards our resting place, Public Administration Circuit Bungalows at Bindunuwewa – about 5km away. There are two identical large bungalows, each comprising of three bedrooms with three bathrooms and accommodates 7 in each bungalow. The bungalows are well maintained and have been recently renovated. All six bathrooms had instant hot water showers. Both bungalows are managed by a single bungalow keeper and he prepares the meals as well. Reservation can be done through Ministry of Public Administration and is open only to public servants. 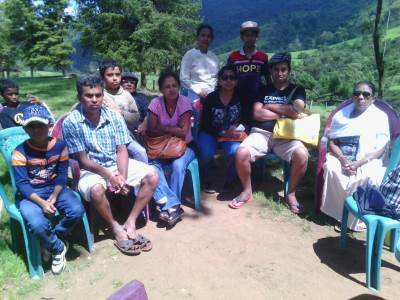 We relaxed with a cup of tea and then decided to visit Dova Rajamaha Viharaya about 4 kms away. 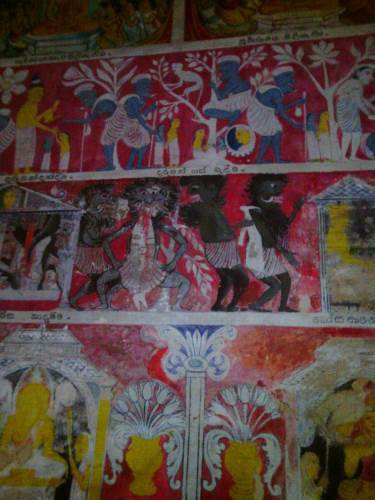 It is an ancient cave temple adorned with colourful murals and dates back to King Walagamba’s time. 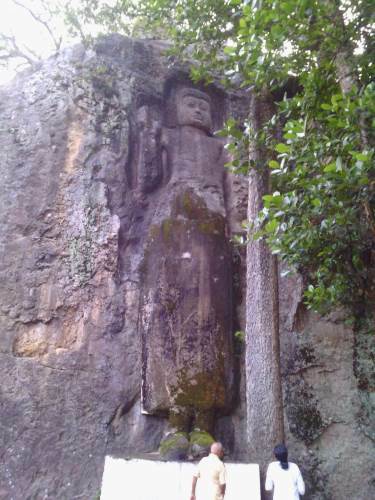 The Buddha statue carved into a rock reminds the ruins at Buduruwagala – not too far away. 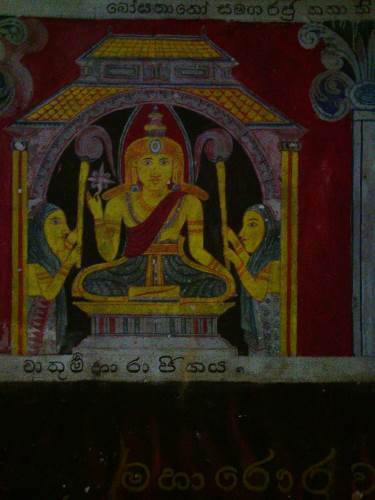 Inside the cave temple is very cool and one can enjoy the fading away murals for hours. We returned to the bungalow past 7pm and after a delicious meal of noodles, chicken curry and dhal called it a day. The next morning by 8.30 we had finished our breakfast of milk-rice and headed towards Badulla in the van as we wanted to visit Dunhinda first. 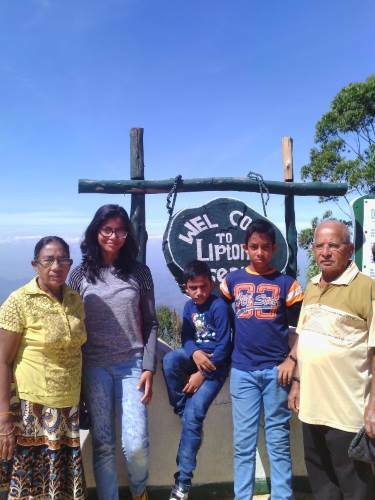 Tackling the downhill road with so many barriers was not an easy task with grandmas, grandpas and little ones. 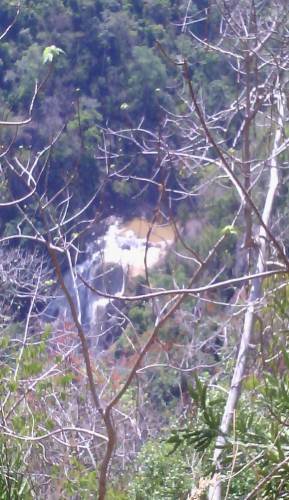 But we all made it down to see the Queen of Waterfalls – Dunhinda. She was breathtaking as always and the tiredness was washed away just by seeing her. Finally it was almost noon when everyone climbed up taking their own time. 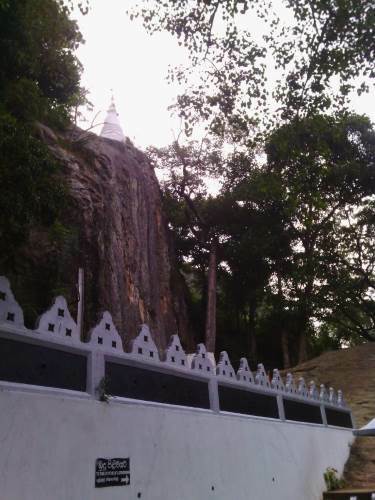 The next destination was Muthiyangana Raja Maha Viharaya in the heart of the town. It wasn’t the ideal time to visit a temple – scorching in the hot sun – but we had no option. The temple was filled with devotees and those who have observed sill and we worshiped without disturbing them. We bought lunch packets from Ja-Ela Hotel and headed towards Demodara. Bogoda bridge off Hali-Ela was in our to-do list but the driver said that the road is in a very bad state so had it give that up. 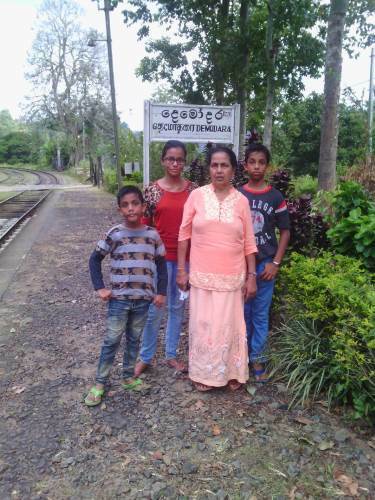 We then visited the Demodara Railway Station and with the permission of the Station Master we had our lunch there. It is a well-maintained station with drinking water and clean toilet facilities. As there were no trains for quite some time we decided to do a hike along the legendary “loop” and it turned out to be quite a distance going all the way round the hill and through the tunnel and finally coming out near the “Black bridge”. We would have liked to see a train going through the loop but the next train was scheduled at 3.30 which was quite late. 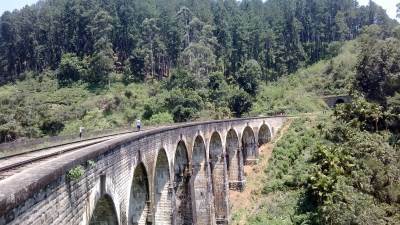 So we decided to start our journey and the next attraction was the Nine Arch Bridge. Last year we walked up the bridge from Ella Station but we did not mind seeing this great architectural marvel again. The turn-off is at Halpe and the road is in a pretty bad shape and you have to walk the final bit to reach the railway line and the bridge. had to give up the idea. 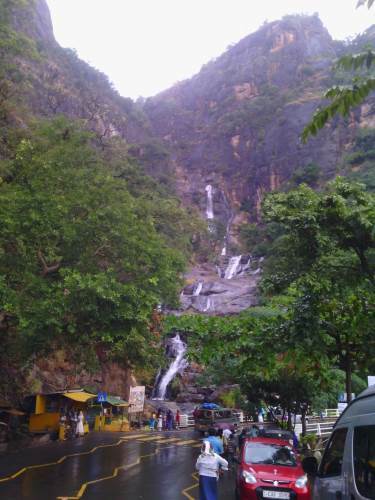 Finally when we reached Ravana Ella the rain had reduced to a drizzle and all got down to enjoy the road-side beauty. We had tea from a nearby boutique and started our return journey. 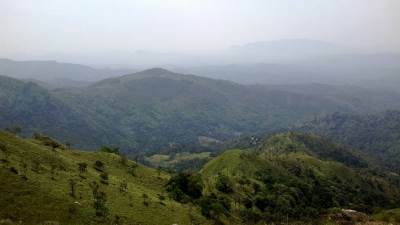 The sudden shower had revived Ella and the mountains along the road looked very fresh and green after the sudden shower. It was past 6.30 when we reached the bungalow and we were welcomed by a warm cup of coffee. Later we enjoyed a delicious meal of rice and curry for dinner. We had the van waiting for us by 8am and we hurried after breakfast as we wanted to reach Lipton Seat before mist. 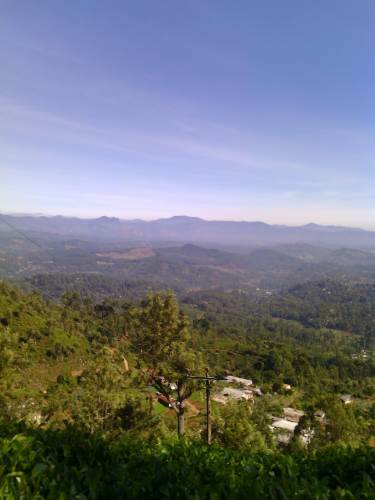 From Bandarawela the road to Lipton Seat is via Nayabedda, which I would say is more scenic than the Damabethenna route from Haputale. We had to buy tickets for the vehicle when we entered the Nayadedda Estate as we would be using estate roads to reach LS. But its worth the money as the road all the way up to LS is in a very good condition. We were fortunate as the weather was very clear and all the way up to LS we were enjoying the breathtaking views of endless mountains. We spent quite some time at LS trying to figure out the distant landscapes all around. It was a very clear day and it was my first clear view from LS. 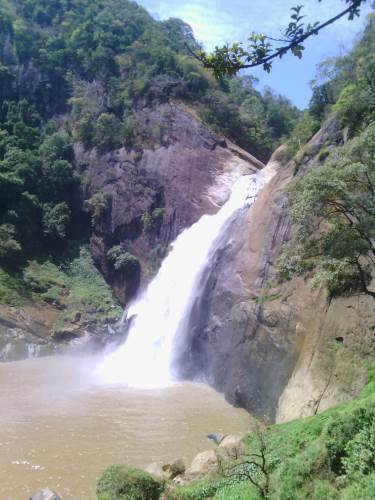 We came down via Dambetenna to Haputale enjoying the scenic beauty. Our next destination was Adisham Monestry. It being a long weekend there was a string of vehicles along that narrow road and we abandoned the idea as we did not want to be stuck in traffic for hours while in Haputale as well. 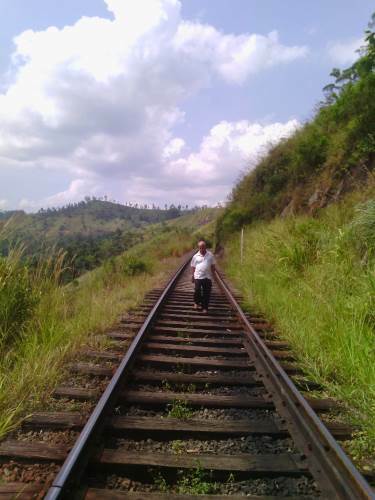 We decided to make the return journey via Diayathalawa as that route is more scenic. 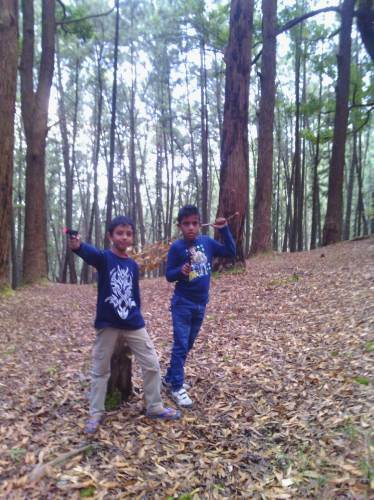 We stopped near the pine forest and the kids had a grand time in the pine forest. We reached the bungalow around 1.30 and enjoyed a sumptuous meal and decided to have a relaxing afternoon in the bungalow. It rained heavily in the evening and we were glad that we did not have any plans for that evening. Since our return journey was planned by the night-mail train we had the whole day to spare. 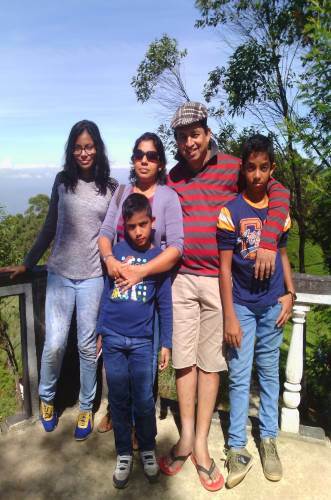 We had planned to visit Ambewela and return by the 3.30 train which would reach Bandarawela by 5.00 pm giving us enough time to get ready for the night mail which would leave Bandarawela by 7.30pm. We left the bungalow after breakfast and caught the 9.55 train towards Colombo. It’s the Udarata Menike leaving Badulla at 8.30am and was packed since it’s the last day of the long week-end. 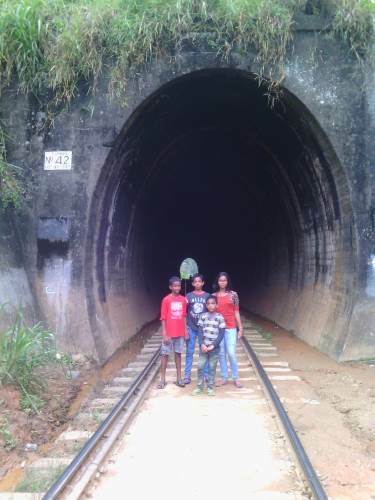 However we enjoyed the journey with endless tunnels and got off at Pattipola by 11.30. 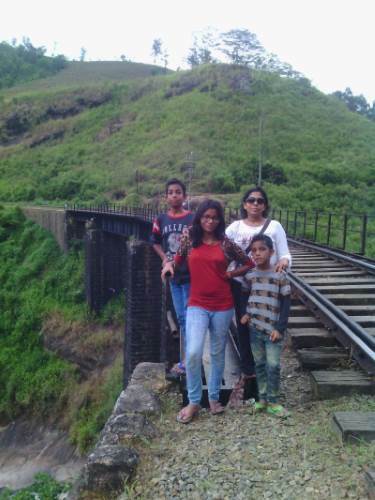 Since the kids were eager on a railway hike we decided to walk from Pattipola to Ambewela which we missed in our last trip. 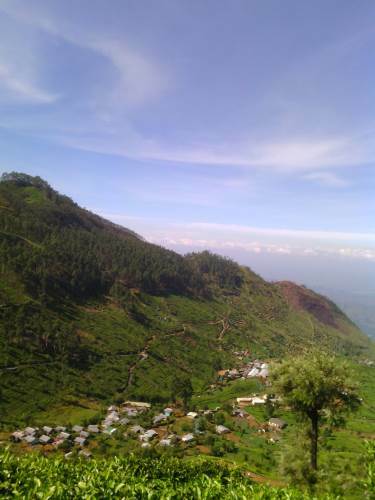 (Ambewela – the Little New Zealand – and Along the Railway Track to Ohiya) We told grandmas and grandpas to get off at Ambewela and the rest walked the 3.5km from Pattipola to Ambewela. Though it has nothing much to offer – except the vegetable beds on either side – the kids enjoyed the walk and we had nothing to fear as the next train on the line was scheduled for 1.05pm. 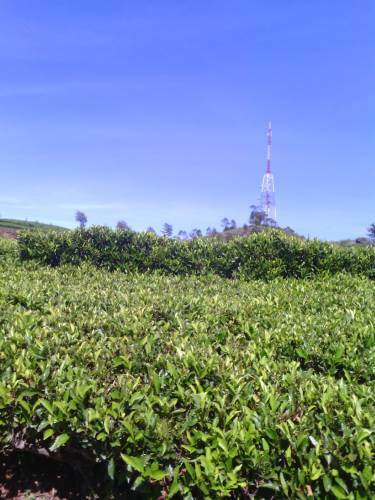 We hired three-wheelers from Ambewela Station and headed towards the New Zealand Farm enjoying the landscape. Farm was packed with people and we rested while the children ran from shed to shed enjoying the animals. We had brought our lunch and enjoyed it at the farm. We called back the three-wheelers and started our return journey around 3pm as we had to catch the 3.30 train to Bandarawela. However when we reached the station we got to know that the 1.15 train has still not come due to some accident and it will be coming shortly. It was packed as crowds waiting for the next train too had got in but we enjoyed yet another journey passing so many tunnels. We reached the bungalow around 4.30 and got ready for the return journey. We had an early dinner of string hoppers and reached the station by 7. The night-mail train reached the station around 8 and we settled in our sleeperates for the return journey. 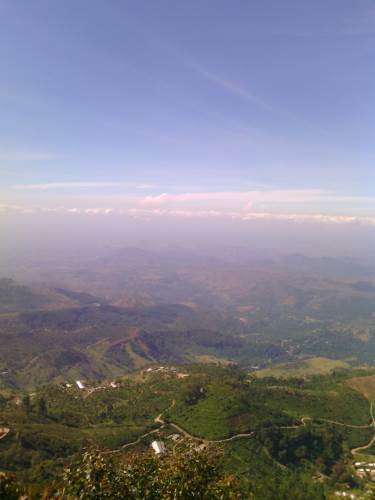 However it was the first time I enjoyed the breathtaking night view of the passing cities – Bandarawela, Haputale & Diyathalawa basking in the moonlight looked magical. 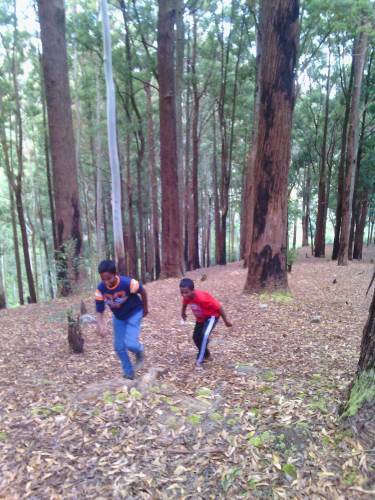 We reached Fort RS by 5.30am and called “Kangaroos” to take us home. We reached home by 6am tired but with our hearts filled with pleasant memories.